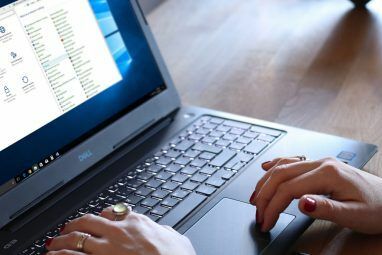 Windows is still one of the world’s most popular operating systems Which Operating System Should You Choose for Your Next PC Which Operating System Should You Choose for Your Next PC Buying a new PC? You have more operating system choices than ever. Which should you choose? We'll give you an overview, along with advantages and disadvantages. Spoiler: There's no one best option! Read More . It powers billions of computers across the globe. Windows has become a byword for computing. Microsoft and Windows dominance make them a constant target. And while Windows 10 is their most secure operating system yet, it still has numerous vulnerabilities. The vulnerabilities are not small, either. The DoubleAgent attack can hijack each Windows version, disabling antivirus programs in the process. Furthermore, Microsoft Edge is a massive target for hackers. Not quite at the same level as internet Explorer — that would be outrageous — but at worrying levels, nonetheless. Microsoft products are still regularly exploited. Despite ramping up the security for Windows 10, it remains a major target. Let’s consider what’s been happening and why. March 2017 saw security researchers from Cybellum announce the discovery of a new Windows zero-day exploit What Is a Zero Day Vulnerability? [MakeUseOf Explains] What Is a Zero Day Vulnerability? [MakeUseOf Explains] Read More . The Israeli research team confirmed that the attack, named DoubleAgent, can “directly assault and hijack control over the antivirus.” DoubleAgent exploits a relatively unknown feature found on all versions of Windows Every Version of Windows Is Affected By This Vulnerability - What You Can Do About It. Every Version of Windows Is Affected By This Vulnerability - What You Can Do About It. What would you say if we told you that your version of Windows is affected by a vulnerability that dates back to 1997? Unfortunately, this is true. Microsoft simply never patched it. Your turn! Read More from XP to Windows 10. The Application Viewer is designed to strengthen application security by checking and fixing bugs. Ironically, it does the opposite, earning the DoubleAgent name in the process. Turn antivirus into malware — Antivirus software operate from a privileged position on your computer. As it is a highly-trusted operation, antivirus can see everything, and do anything. Therefore, any malicious activity is considered legitimate, and the attacker can bypass any security. Modify the Antivirus behavior — The attacker has free reign to change whitelists, blacklists, open ports, alter firewalls, and much more. By disabling the antivirus, backdoors could easily be installed. Destruction — The malicious actor can simply destroy the system, depending on the reason for the attack. Without any antivirus to stop certain actions, local storage could be encrypted, or formatted. Furthermore, unfettered access across the entire system through the antivirus could see private and/or sensitive data stolen. Cybellum contend that the only antivirus product able to defend DoubleAgent is Windows Defender. Windows Defender is the only antivirus product 4 Reasons to Use Windows Defender in Windows 10 4 Reasons to Use Windows Defender in Windows 10 In the past, Windows Defender was overshadowed by other options, but now it's quite a contender. Here are a few reasons why you should consider dropping your security suite in favor of Windows Defender. Read More using Windows Protected Processes mechanism, a kernel-level protection technique specifically designed to mitigate attacks of this type. Conversely, Avast CTO Ondrej Vlcek said Cybellum alerted his firm to the vulnerability last year. As such, the vulnerability is no longer an issue. 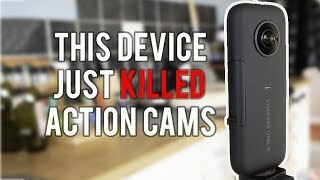 Norton Security told ZDNet a similar story: after investigating the issue, they found no vulnerability caused by the proof-of-concept attack (despite the video created by Cybellum attacking their product). Nonetheless, they have implemented additional detection and blocking techniques. Pwn2Own is an annual hacking contest held at the CanSecWest security conference. The 2017 edition marked the 10th anniversary of the competition and a massive $1,000,000 prize fund. The targets change every year, but are usually a mix of browsers and other common software. The 2017 Pwn2Own saw Microsoft Edge hacked “no less than five times.” You want the good news? These hacks are completed by highly-skilled, professional hackers. 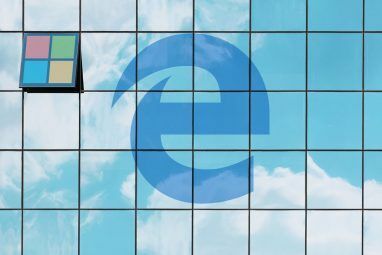 One hack, completed by a team from “360 Security,” exploited a heap overflow bug in Microsoft Edge, a type confusion in the actual Windows kernel, and an uninitialized buffer in VM Workstation, escaping a virtual machine. In other words, they completed three separate advanced hacks to gain access to the host operating system. Their efforts earned them $105,000. There were four other successful hacks against or utilizing Microsoft Edge. The Pwn2Own focus on Microsoft Edge is eye-opening and worrying. Microsoft built a new browser from scratch to eliminate many of the old insecurities that saw IE ridiculed. Unfortunately, it seems Microsoft Edge is similarly susceptible Microsoft Edge's PDF Exploit: What You Need to Know Microsoft Edge's PDF Exploit: What You Need to Know The new Microsoft Edge browser has introduced new problems, such as its PDF exploit. But what is it? Are you safe? And is Edge unique with these types of issues? Let's investigate. Read More . As an aside, Google Chrome was unhackable Which Browser Is Best? Edge vs. Chrome vs. Opera vs. Firefox Which Browser Is Best? Edge vs. Chrome vs. Opera vs. Firefox The browser you're using right now may not be the best one for you. The browser arena changes so frequently that your conclusions from comparisons made last year may be completely wrong this year. Read More . 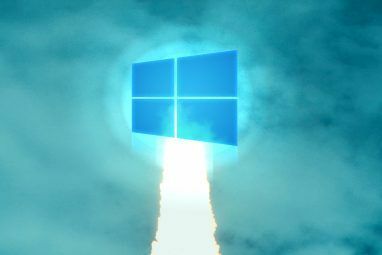 Do Microsoft take more flak than they truly deserve? In my opinion, Microsoft is running at about even. 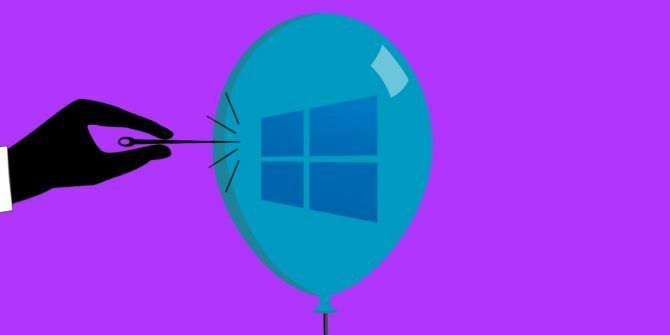 The computing world love to pile onto Microsoft The Most Hated Windows Versions & Why They Were So Bad The Most Hated Windows Versions & Why They Were So Bad The rule of thumb is that every other version of Windows is awesome. But why have the "bad" versions of Windows — ME, Vista, and 8 — been so hated? Read More for each and every vulnerability found. And rightly so. As the company with the largest market share, Microsoft has a massive responsibility to protect users, be they home, business, or enterprise, from the expansive world of hacking and cybercrime. Earthquakes, hurricanes… Haiti is definitely more vulnerable than Windows 10. However, as robust as we would like Windows to be, hackers gon’ hack. And as Cybellum’s DoubleAgent zero-day discovery illustrates, there are always unexpected attack vectors waiting to be found. Windows is closed-source. Microsoft keeps their source code under wraps — understandably. There are inherent issues with any propriety software. The litany of bugs, vulnerabilities, and zero-day exploits are a direct symptom 5 Ways to Protect Yourself from a Zero-Day Exploit 5 Ways to Protect Yourself from a Zero-Day Exploit Zero-day exploits, software vulnerabilities that are are exploited by hackers before a patch becomes available, pose a genuine threat to your data and privacy. Here is how you can keep hackers at bay. Read More of that. Microsoft Windows remains extremely popular. It is accessible, familiar for many, as well as coming pre-installed on millions of computers. Microsoft clearly understand the need for security. Windows 10 is vastly more secure than previous Windows versions. Microsoft Edge is moving in the right direction, albeit slowly. But newsworthy vulnerabilities, such as the year-old zero-day only just patched, will continue to cause understandable alarm across throughout the cyber security world. Despite Windows 10’s improved security, you should still be running a competent anti-virus application or full online security suite The 8 Best Security Software for Windows 10 Malware Protection The 8 Best Security Software for Windows 10 Malware Protection Want to tighten security on your PC? It's a good idea, so take a look at these fantastic antivirus choices for Windows 10. Read More . Do you feel safe using Windows? How would you improve Windows security? Does Microsoft do enough to protect users? Let us know your thoughts below! Explore more about: Computer Security, Malware, Windows 10.